Rider Pick-ups at Sydney Airport! Both uberX and UberBLACK driver-partners can pick up riders at Sydney Airport! Trips from the airport are allocated via a virtual queueing system. If you’re waiting at Sydney Airport, you’ll be placed in a virtual queue, which means you’ll receive trip requests on a first in, first out basis. This system ensures that driver-partners who have been waiting the longest get the requests first, instead of the usual system which allocates trips to whoever is closest. Each product and terminal has its own queue, so if you’re an uberX driver-partner waiting at the international terminal, you’ll be queued separately to an uberX driver-partner waiting at the domestic terminal, or to an UberBLACK driver-partner waiting at the domestic or international terminal. Read on for details specific to uberX and UberBLACK driver-partners, as well as the Sydney Airport Operating Procedures below. To place yourself in the international terminal queue, ensure that you’re waiting on the western side of Cooks River on Innesdale Road, Gertrude Street, Robert Lane or Levey Street. 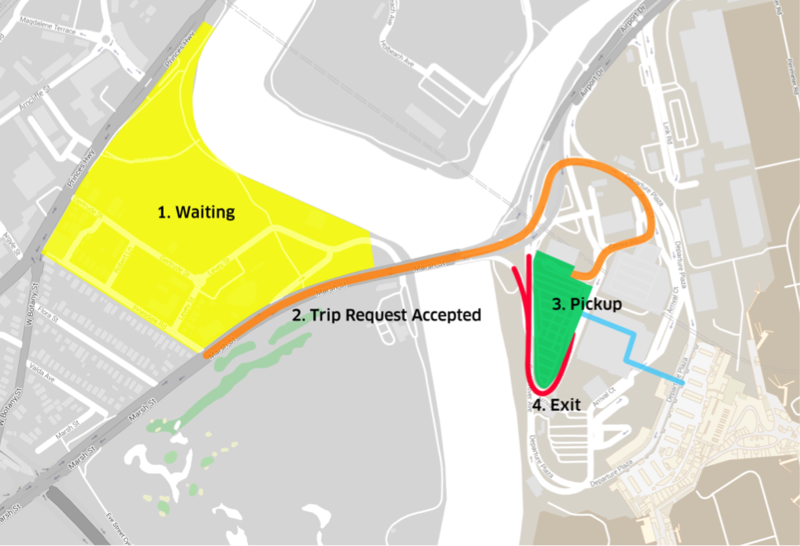 You will not be able to wait for trip requests near the international terminal pick-up area. To place yourself in the domestic terminal queue, you’ll need to be in the waiting area between IMO car wash and KFC restaurant; this area is to the north of Ross Smith Avenue. 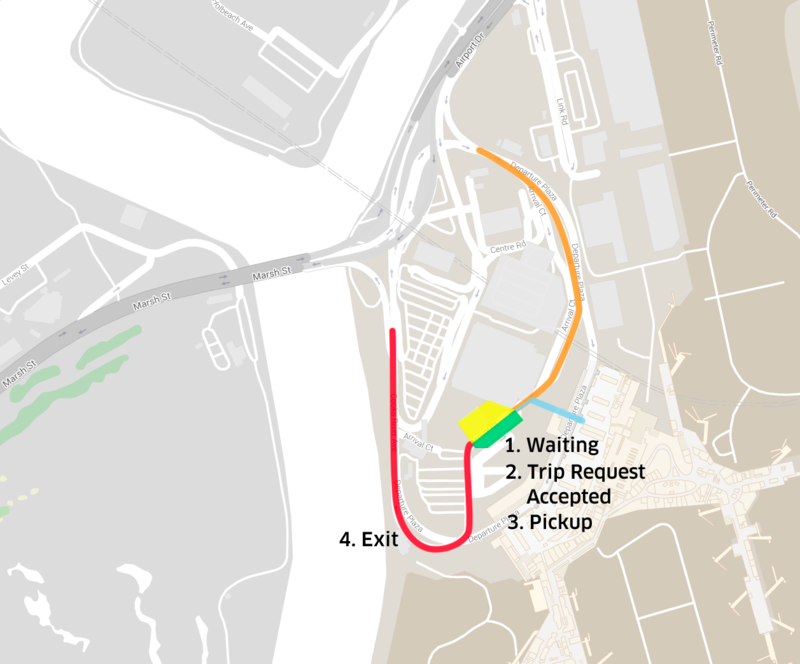 You will not be able to wait for trip requests near the domestic terminal pick-up area, you’ll need to be physically in the uberX waiting area, which is a dedicated area specifically for uberX and other ride-sharing drivers. For both international and domestic terminals, if you’re waiting anywhere in the yellow area you are automatically placed in the virtual queue and able to receive a request from that terminal. Beginning 13 September 2016, there will be fees implemented in the uberX waiting area if you stay for more than 30 minutes. This fee will be automatically charged to your e-TAG by Sydney Airport when you exit through the boom gates. If you need to wait in the uberX waiting area for more than the maximum free waiting time, it is recommended that you exit through the boom gate and immediately re-enter the waiting area. If you do this you will not lose your position in the queue. Once you have accepted a trip request, we suggest that you call the rider to confirm they are ready to be picked up, and confirm that they know the correct pick-up area. 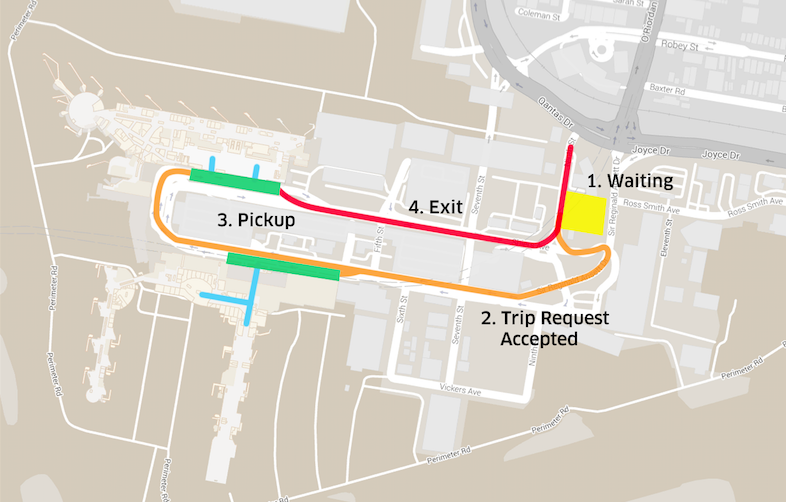 You will need to drive along the orange route, following the bright yellow signs to the “Express Pick-up” area for the international terminal, and the “Priority Pick-up” for the domestic terminal. 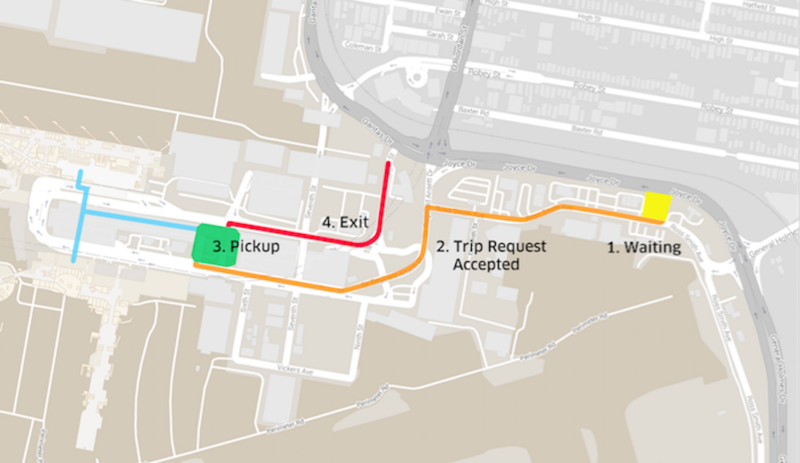 When you reach the pick-up area, you will need to drive through a boom gate to enter the carpark (where the orange line enters the green box on the map). You can wait for your rider in the pick-up area, which is the green box on the above map. Riders will request once they’ve left the terminal, and walk to the pick-up area via the blue line. For the international terminal, you can only wait in the Express Pick-up area for up to 15 minutes before fees will be applied by Sydney Airport to your e-TAG. For the domestic terminal, Sydney Airport will automatically charge a fee to your e-TAG based on the amount of time that you are in the Priority Pick-up zone. A Sydney Airport Access Fee of $4 will be charged to the rider like a normal toll. 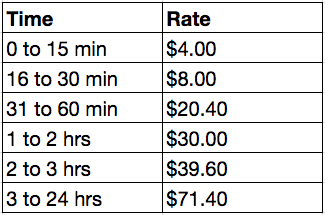 Most rider pick-ups will take less than 15 minutes so you should expect the $4 fee, but refer to the table below for the full fee breakdown. Follow the red line on the map to exit the pick-up area. Remember, riders love it when you offer them water and mints, ask if they’re happy with the air-con and music, and check if they’re OK for you to follow the GPS directions! Do I lose my place in the queue if my rider cancels? You do not lose your place in the queue if your rider cancels. My rider took a long time to get to me and I had to pay for my parking, will Uber reimburse me? International terminal: Express Pick-up area. Up to 15 minutes free. Domestic terminal: Priority Pick-up area. Rider will get charged the $4 Sydney Airport Access Fee. If you wait more than 15 minutes in this zone, refer to the charts above for additional fees. The app advises riders to only request once they’ve exited the terminal, so it’s unlikely you’ll need to wait long. To ensure that traffic at the terminal is kept to a minimum, pick-ups by uberX driver-partners must only occur from the designated pick-up areas. If the rider is unsure about where to go, tell them to follow the bright yellow signs which say “Express Pick-up” for the international terminal, and “Priority Pick-up” for the domestic terminal. There has been no change to the UberBLACK waiting areas. You should still wait at the usual hire car areas at both the international and domestic terminals. Once you enter the hire car waiting area you’ll be placed in a virtual queue, which means you’ll receive trip requests on a first in, first out basis. This system ensures that driver-partners who have been waiting the longest get the requests first, instead of the usual system which allocates a trip to the driver-partner who is closest. You will be able to move between the yellow waiting area indicated on the map without being removed from the queue. 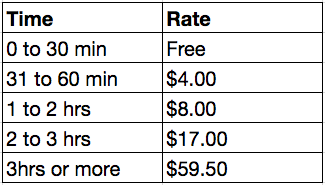 How does the Sydney Airport Access Fee work? The Sydney Airport collects an Access Fee for both international and domestic terminals through the e-TAG system.This fee is passed on to the rider, and you are reimbursed for 100% of this amount through your Uber trip (the Uber service fee does not apply to this fee). It will appear on your Uber receipt as “Sydney Airport Access Fee”. In general, it is advised to wait at the international terminal in the morning and evening, and in the afternoon and evening for the domestic terminal. Note that BLACK, LUX and SUV all have their own queues. Please be aware of the following requirements of Sydney Airport Corporation Limited that apply to driver-partners when at Sydney Airport. comply with all signs, conditions of entry, rules, requirements for accreditation and laws. An electronic tag reader is mounted at the entry and exit access points to Loading Zones. The driver may approach the Loading Zone boom gate access point for entry or exit of the Loading Zone. The boom gates will only open for entry and exit of a Loading Zone if a valid electronic tag is read and accepted by the electronic tag reader. any other requirements for acceptance are not met (including black listing). The driver must load passengers promptly and proceed to the Loading Zone exit point boom gates where the electronic tag reader will detect the electronic tag. The driver must not tailgate or otherwise act improperly. If the driver experiences any difficulties using the Loading Zones the Licensee may use the intercoms provided at the Loading Zone access points. comply with any reasonable requests of Sydney Airport’s staff, contractors and kerbside enforcement officers in relation to traffic, access and parking.